Joyce Lydford, Balgowan Primary School takes a look at Star Maths Starters: Year 6 for us. An excellent Teacher resource which will invigorate any Year 6 teacher’s repertoire of Mental/oral Maths starters. This book and CD-ROM combination provides 30 easy to use programmes to use on an interactive whiteboard which cover all seven strands of the Renewed Framework and all six types of starter – the 6 “R’s” as they have come to be known! Pupils find them attractive and motivating; teachers find them easy to use with great features like the grid checker in Bingo. The accompanying notes are simple to understand and backed up by “What to do” tabs on the programmes themselves. All notes provide ideas for differentiation, and often teachers are able to put their own numbers into programmes in manual mode in order to personalise them for their own classes or for certain pupils. 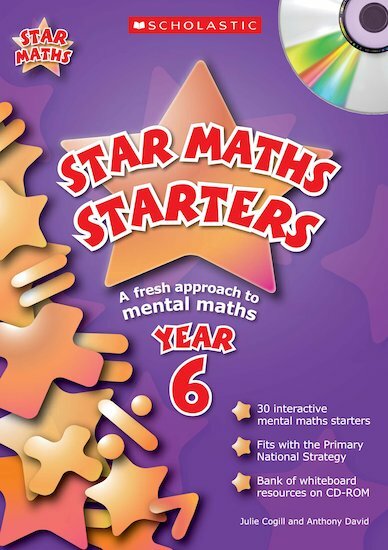 The starters focus on key areas of maths which children find difficult such as reading scales, converting measurements, fractions and decimals, and using this range of fun starters in which all the class can participate children will improve their memory of key facts and processes, along with their confidence in maths. The activities are versatile and could also be used as part of the main part of the lesson when appropriate. 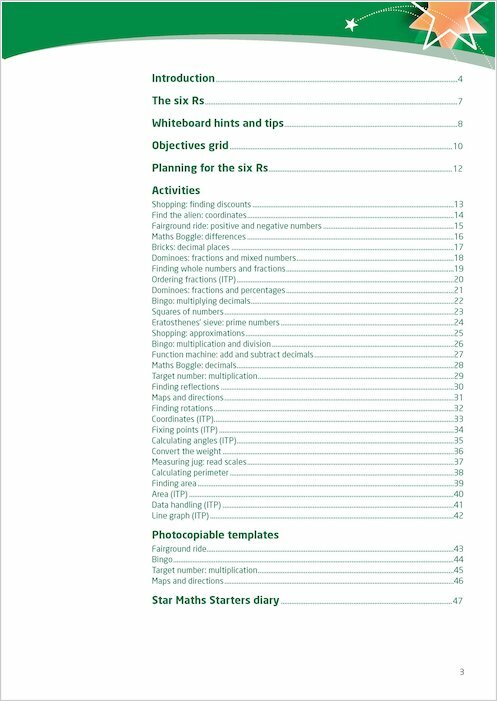 Teachers will snap this pack up to support their teaching of the Renewed Framework.